RURAL AND LIFESTYLE SPECIALIST Selling and maximising the value of your property is no simple matter. It will require the services of a sales professional with a proven track record. For John the move to real estate in 2009 became an obvious choice. Not only does his significant National, Regional and Franchise awards prove he is an adept negotiator but as a business person with a history of success you are also working with someone who understands how to help sellers maximise the value of their property. Prior to real estate John marketed avocados, subtropicals, kiwifruit and flowers and has in depth knowledge of most horticulture crops. He has his own Organic avocado orchard and a small Hereford herd. John is passionate about real estate and strives to deliver an awesome Harcourts experience. 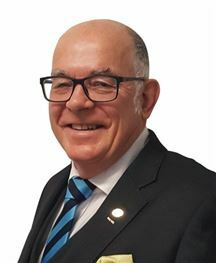 For an exceptionally trustworthy, reliable, focused and hard-working sales consultant with a strong affinity with rural people, John Graham is the obvious choice! 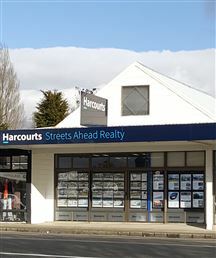 He and his wife Julie own the Harcourts Streets Ahead Realty franchise where John leads the Rural/Lifestyle team. 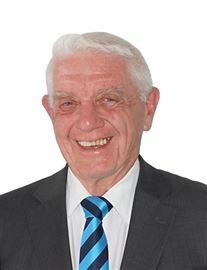 Philip has bought and sold many properties over the years and has developed a passion for residential real estate in Katikati. He specialises in residential sub divisions. He has lived in the Fairview Country Club sub division for over 5 years and has sold more properties there than any other licensed real estate salesperson. Philip understands how important honesty and integrity is to customers and brings those values to his dealings with sellers and buyers to give you a pleasant and rewarding experience. Phil’s clients are usually neighbours and friends and they know that Phil will go the extra mile for them. Here is what some of them have said: “We would like to express our gratitude and thanks for all your unfailing help…we would have no hesitation in recommending your services to anyone.” Keith and Sandra Bolland. “We would certainly recommend future prospective customers to you.” Yvonne and Peter Willcox. 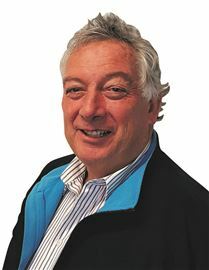 "We would like to thank Phil for his very professional service in selling our property. As a resident (of Fairview) Phil’s local knowledge steered purchasers in the right direction.” Ross and Glenys McKay. 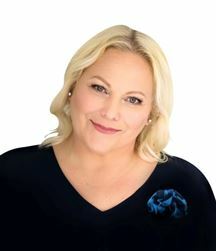 A fresh new face at Harcourts Katikati, Rachel Love is thrilled to join this team of real estate professionals. She brings with her a wealth of experience and some international flair to boot, after living abroad for 25 years. When it comes to providing unparalleled customer service and attention to detail, she absolutely shines. It is her natural ability in these arenas that continually impress her clients. 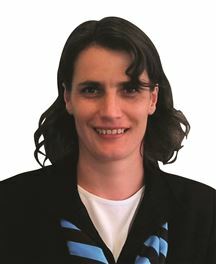 Working with both buyers and sellers, Rachel is assertive and effective without being aggressive. Her negotiating skill and insight, enable her to tirelessly advocate for clients. In addition to proactive communication, uncompromising integrity is the hall mark of Rachel’s service. In all of her dealings, her professional track record is exemplary. Above all, Rachel values relationships and her caring nature will always exceed customer expectations. Hello! 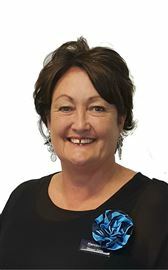 My name is Ruth Powell and I am a Real Estate Licensee with Harcourts Streets Ahead Realty, Katikati. I shall be marketing properties that include lifestyle blocks, farms, orchards and executive homes. I have lived and worked within the Western Bay area since early 2001. My children have gone through the local schools so I will be a familiar face to many. I have been involved in the kiwifruit industry for 12 years having lived and worked on orchards and at packhouses. My knowledge of the horticulture sector will be advantageous when marketing kiwifruit and avocado orchards. I shall be promoting my Real Estate business, current listings and local events through my professionally presented business facebook page. This will attract potential purchasers to the area by highlighting the many wonderful attributes of our town. So please check this out! Having recently graduated from Toi Ohomai with my Level 4 Certificate in Real Estate I am up to date on all the latest trends and real estate procedures. I am looking forward to applying this knowledge and making the most of the opportunity to excel in the Real Estate industry, all under the Harcourts branding and business model. Please come up and introduce yourself to your friendly local agent in gumboots! Steve has been working in the Katikati area since 1995 and he has developed a reputation for being down to earth when dealing with real estate matters. Prior to entering the industry Steve farmed in the King Country near Taumarunui. Having this experience ensures that his clients, both purchasers and vendors alike, feel confident that their best interest is being handled by someone who understands the real estate sector. Steve is well equipped to help all his clients achieve their goals and looks forward to being of service to past clients and also to those of you he has not yet met. Can't Help Falling in Love! Hort Land, Avos or Kiwis? Buy Me, Then Bookabach Me! Love The Long Acre Location! Flat Hort Land Or Lifestyle!! Near New Home In Highfields! Solid Brick Almost In Town! Is Renovation Your Thing ?